Normally, with this forecast, I would be cautioning you about the tornado risk. And, I will do that. 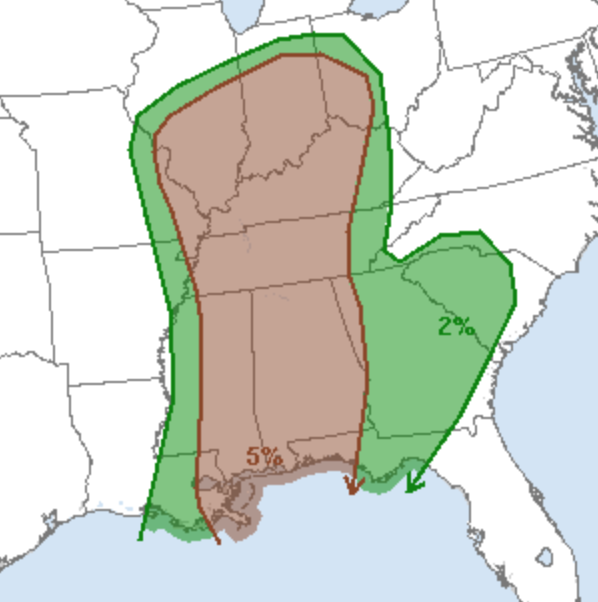 But, the serious risk of violent tornadoes that was forecast yesterday has been downgraded. Whew! The 5% (brown) area is a significant risk for tornadoes. So, you will monitor the weather at the first sign of the approach of a thunderstorm. Do that and you should be good to go.